This is handcrafted eco-friendly Serving Tray. 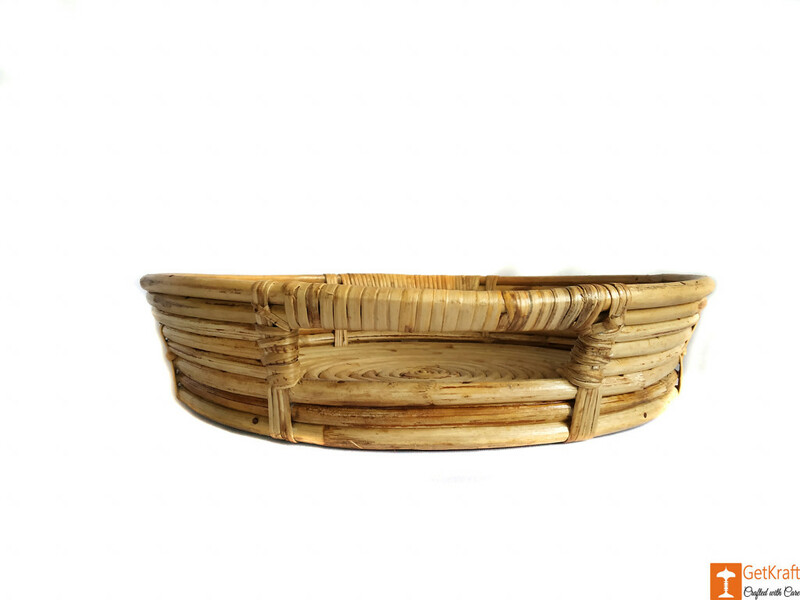 It is round, has two compartments for easy gripping of the tray, and is perfect for everyday use. 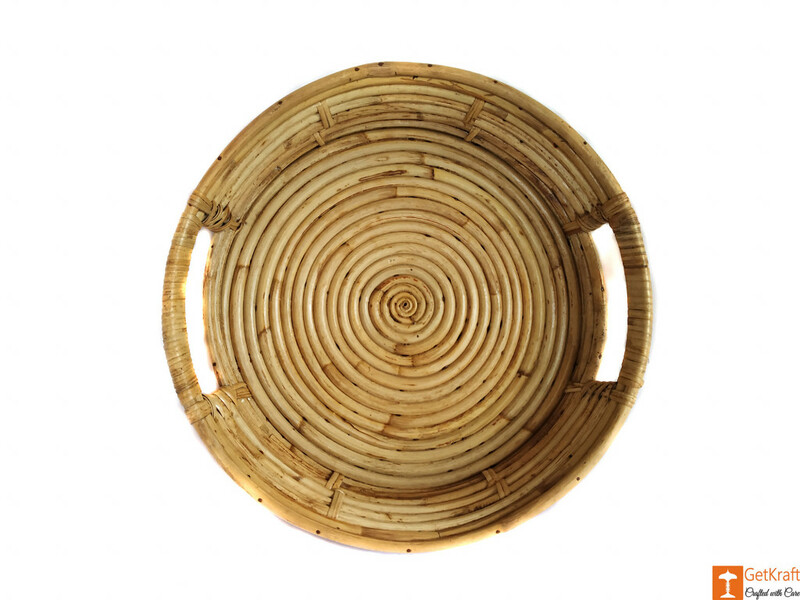 This tray is made from cane, which will give your space a natural look. The tray can be a part of your living room, bedroom or office decor.